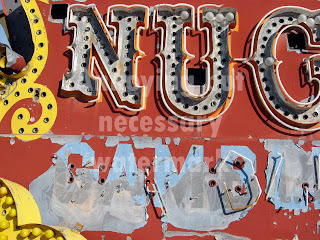 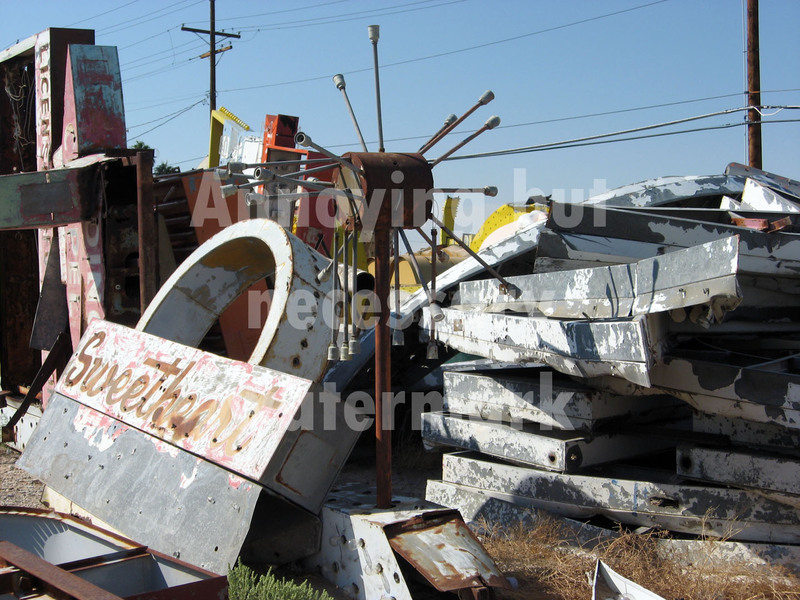 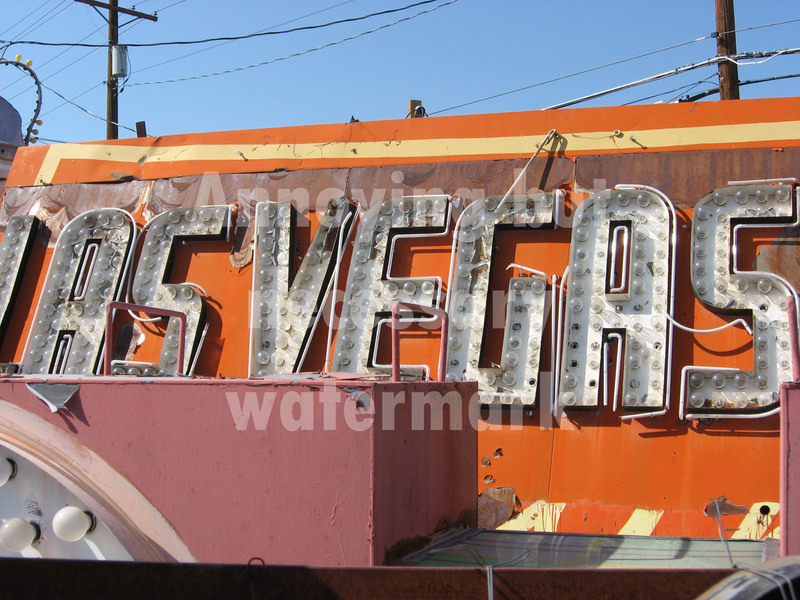 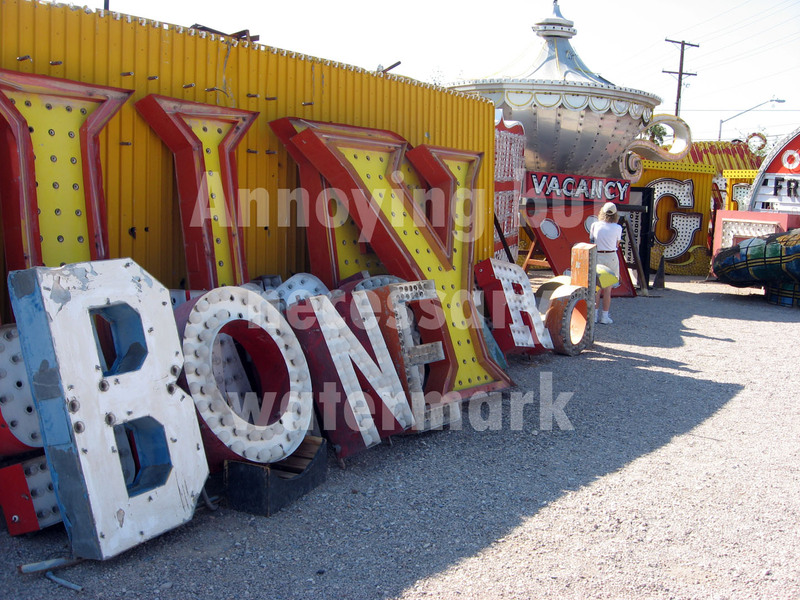 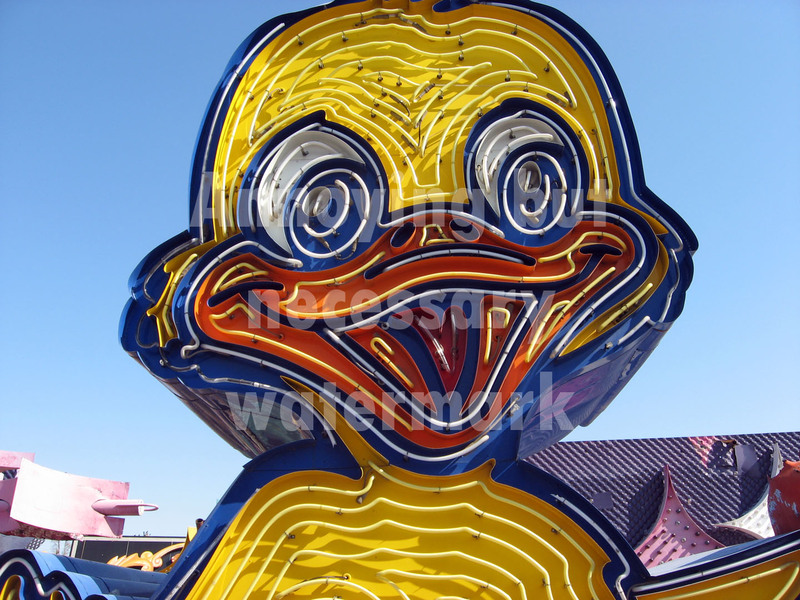 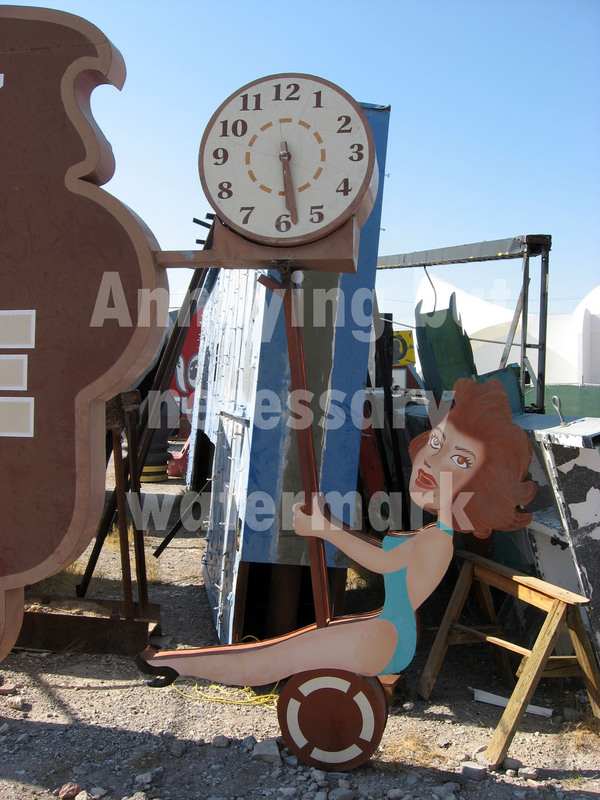 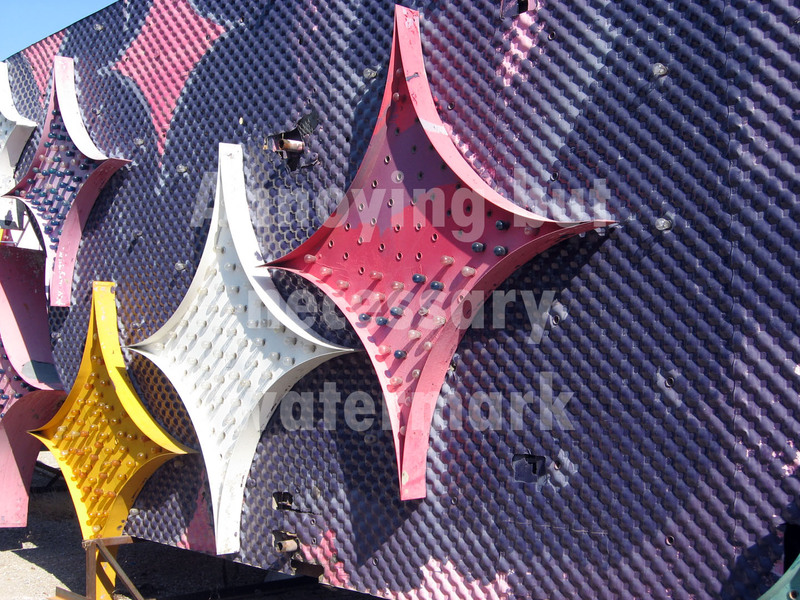 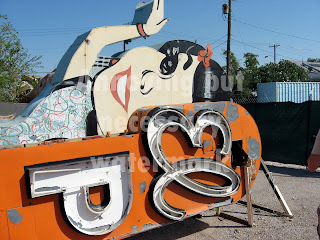 These photos have an annoying but necessary watermark on them because the Neon Museum only allows photos for personal use. 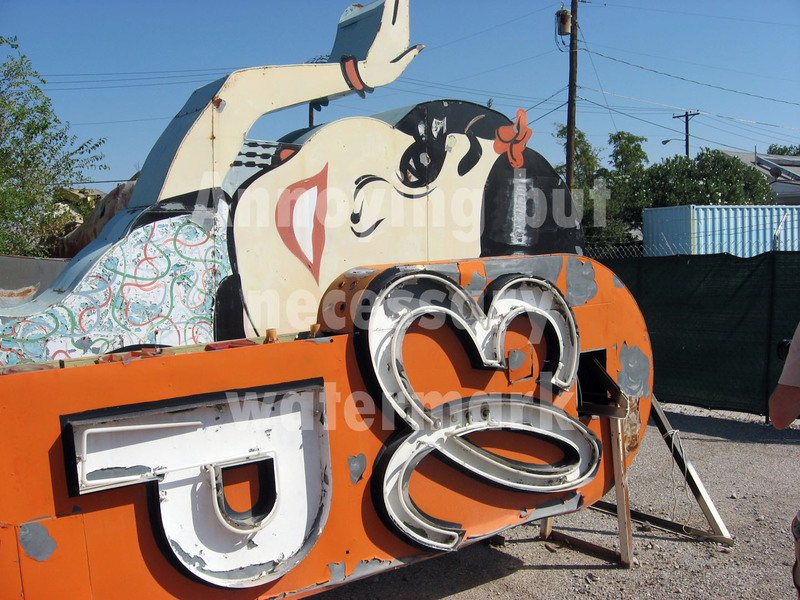 They charge for commercial use so they can raise money to keep restoring the signs. 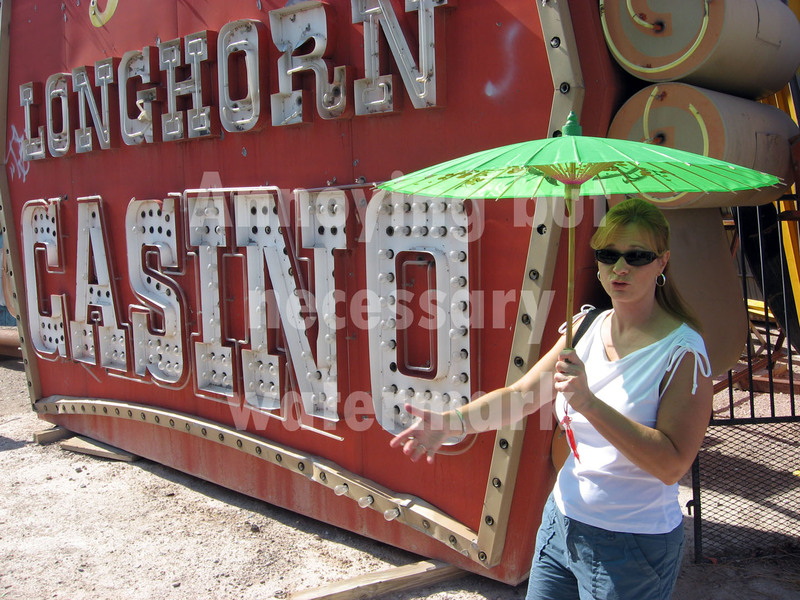 This nice lady lead the tour we took back in 2008. 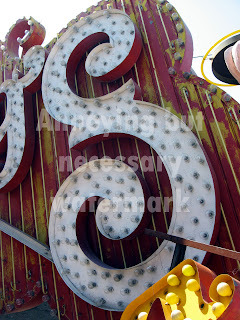 A big "to-do" on my big "to-do" list. 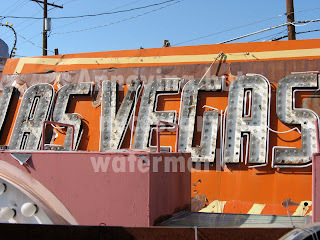 I havent' been to LV since 2001 ... 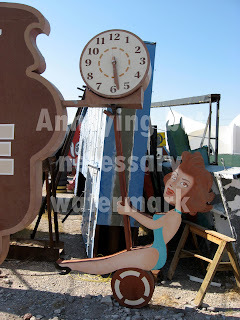 I need to fix that. 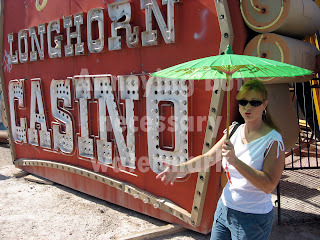 I love the non-gambling sites in Vegas, like this place, the Atomic Testing Museum, and the late, great Liberace museum. 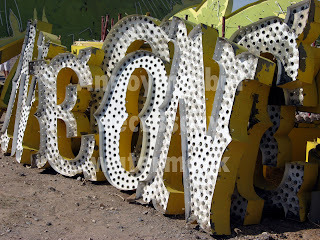 Boneyard state of ruin. Something that was once so glittery, happy, huge and spectacular is now rusted, busted, and tapped out. Stop talking about me. 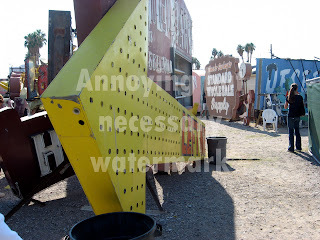 It's rude! 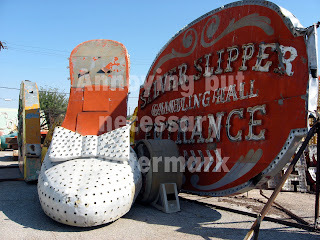 Bill, You are the very definition of the word "glittery". 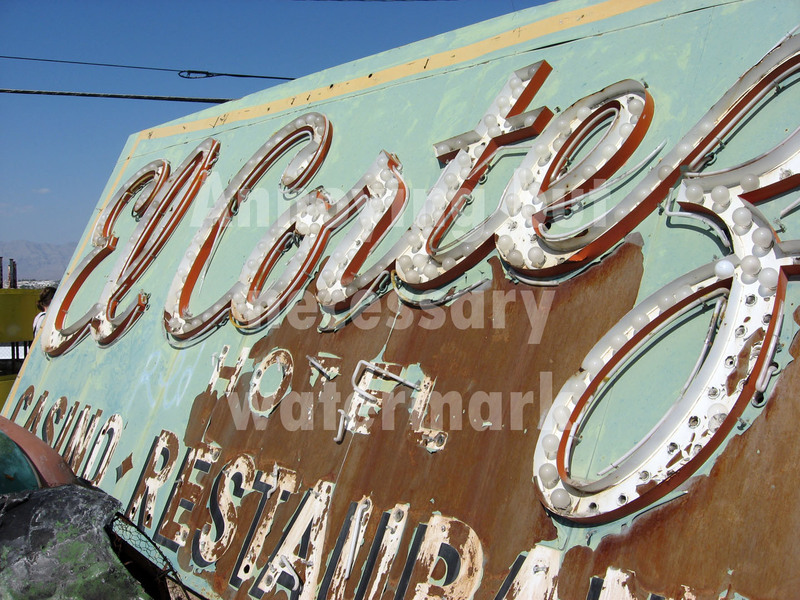 Great photos of some great old signs. 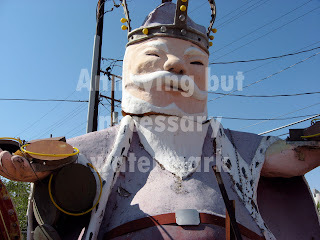 I linked to it from my website today because I think my readers will enjoy it too. Thanks for the plug, Don, and keep up the good work on your site, too! 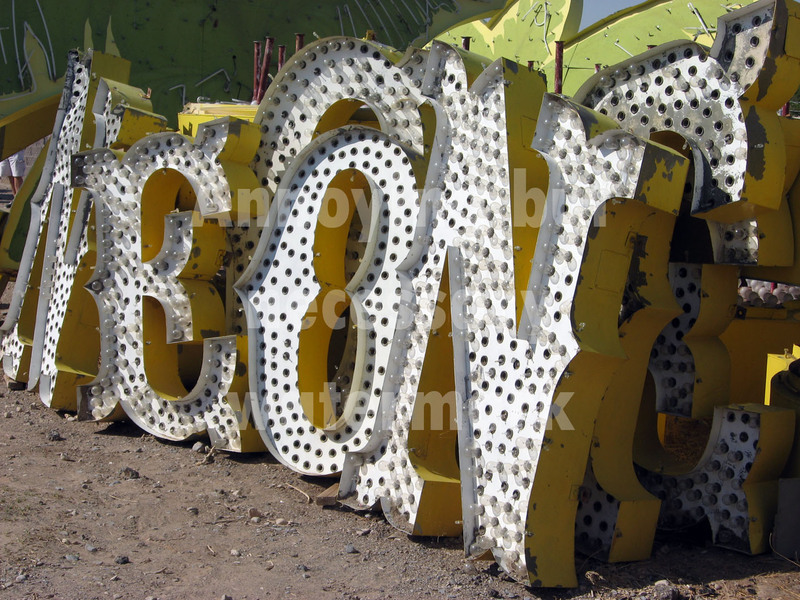 Happy 50th anniversary to "The Birds"